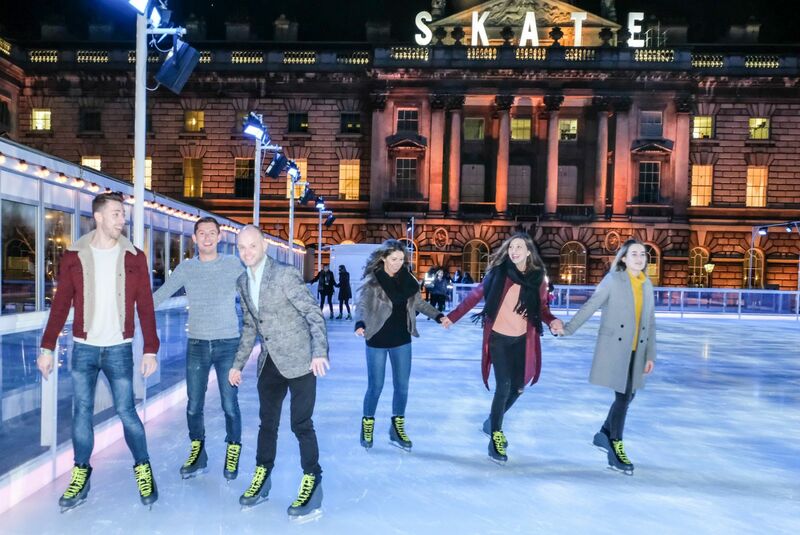 The stunning Edmond J. Safra Fountain courtyard is the backdrop to London’s most beautiful ice rink, where you can skate day or night with family and friends. New for 2017, Skate Lates is a specially curated programme of music to the rink throughout the season - the perfect start to your weekend. Après-skate, treat yourself at Fortnum’s Lodge with one of Skate Extras – all designed for two to share - or watch the action rink-side with a drink or warming snack from the Skate Lounge. Make your visit extra special with a Skate Extra to have after you skate. All designed for two to share, these should be booked in advance and are served in Fortnum’s Lodge: Champagne & Chocolate Fondue; Wine & Cheese Fondue, Champagne & Smoked Salmon Platter and new for 2017 Mulled Wine & Sharing Mince Pie with Clotted Cream. Visit the Fortnum’s Christmas Arcade – a one-stop shopping destination open daily throughout the season until 1 January, and is the perfect place to find all your Christmas gifts. Everyone can hone their skills at Skate School lessons and courses. Young skaters can find their feet on the ice with Polar Cub Club. Pictures by John Sansom for made / Presslink.